Sounds without images. Not necessary. Matthew is an artist. He plays a lot of different instruments, to heal, to reach out, to break the distances between people. In trasformatorio, he shined in many different ways. 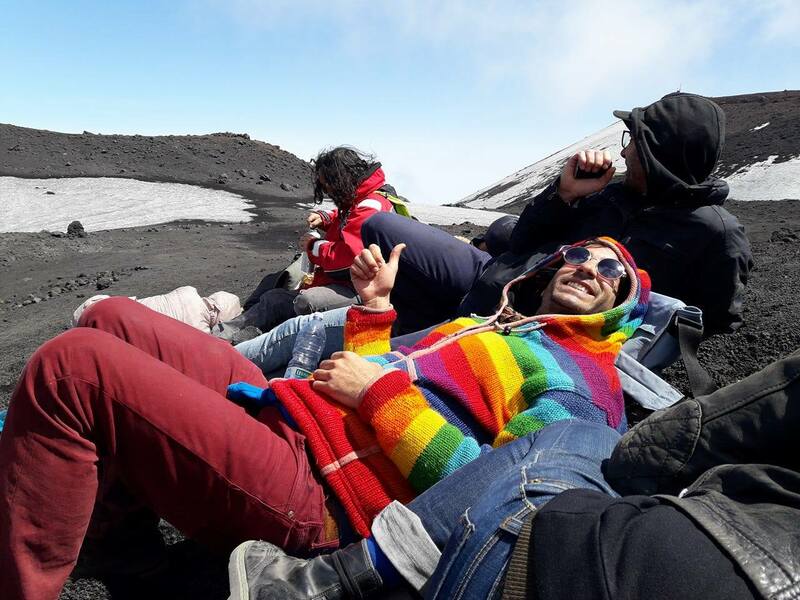 I see him on the mount Etna, his rainbow jacket, and a casket of wood he carried on the whole way up. He wanted to burn it for the burning mountain. When we were resting, panting, drinking water on the semi-top, he disappeared a bit. The mountain few meters from us began to smoke, and the melting of the snow accelerated. Was this you? The igniter of the fire? Or better you took some of the lady’s one to carry down in the valley to the tower? – Shadows of the impro in the memory room, with Servando Barreiro and Rosaria Sfragara, video by Mose’ Previti.